Welcome to day two of the A to Z Blogging Challenge! I have been blogging for almost 4 years! I started my blog to chronicle the beginning of my retirement since so many people were asking me what I was going to do with my time! 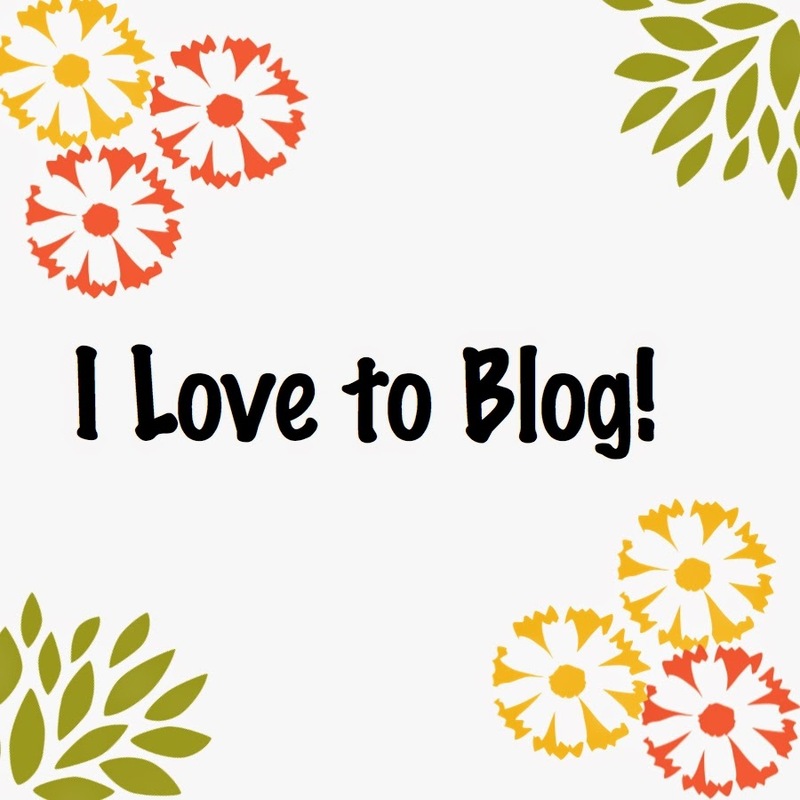 But I continue blogging because I LOVE it! I love the writing and the interaction with my readers and other bloggers! My hubby does not get my blogging at all! He can't believe that I have written over 600 blog posts in almost 4 years--What do I write about in all those posts? The part he really can't understand is that my blog has had almost 40,000 page views during that time--why would people want to read it??? I am not sure how to get him to understand what I do or how important it is in my life. Any ideas? I could suggest he read my blog but I think he would be bored to tears because it's not current events or "news"! Writing has been a huge part of my life since I was very young! I started journaling in grade school; wrote poetry for many years; have toyed with writing a book at different times of my life. Blogging keeps me writing! I am thankful for each and every one of you who visit often and especially to those of you who comment:) I need to get better about commenting on blogs I read as I know how fun it is to see that someone has actually taken the time and effort to leave a comment. I hope you are enjoying the A to Z Challenge! Can you guess what I will be writing about for the letter C??? Hi Kate! I found your blog on the A-Z challenge list. We have a lot in common. I'm also retired and didn't really plan it. I love to blog and have been blogging for a few years. My husband never reads it, or anything else online, but he is supportive. I'm also tinkering with a novel and I have published a history of my town and a family history. My theme this month is genealogy and family history. You are so lucky your husband is so supportive of your blogging! Mine isn't intentionally unsupportive, he just doesn't realize how important it is to me or how much I enjoy it. Your hubby sounds amazing! I am sure he would be great at blogging himself! Good luck with your five year plan! I'm hoping to get him to write his own blog about motorcycles and his rebuilding and adverntures etc. when he is retired. I'd build his blog for him to make it easier. He even has some great recipes for mechanics to make dinner easier. Tim's World Famous.... chili, spaghetti, tacos etc. Oh, my hubby would read that blog! He loves motorcycles! Keep me posted if he starts the blog! 4 Years of Blogging. Impressive. 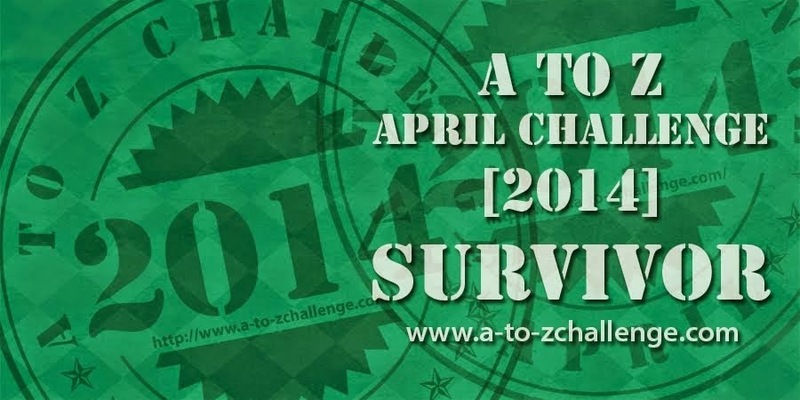 As a survivor of the previous A to Z Challenge, do you have any advise for us new to the Blogging Challenge? My biggest piece of advice is to have fun and don't stress too much! Short posts are great but I'm not good at taking my own advice! The A to Z Blogging Challenge is a great way to push yourself to write about things you might not otherwise write about! Good Luck! Blogging is a great thing to do when retired. My husband has recently retired and I'm desperately trying to get him to blog. I've not been blogging very long myself, and love it. If your husband likes to write, he will love blogging! What's not to love??? Thanks for visiting! Four years is quite a lot of blogging! I've only been blogging for a little over a year. Great post! 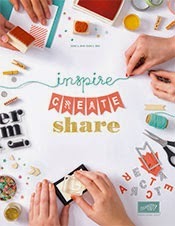 Have you thought about taking those 600 posts and creating a book? I haven't thought about the book but that is a really good idea! Good luck with your blog...have a great time with it! Hi Kat - Happy Wednesday! I'm like you. I love to write and have from when I was very young. 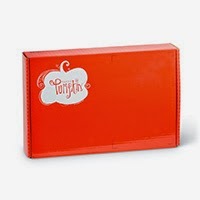 Although I never did write the "great American novel" I do keep my journal and I do love to blog. Thanks for sharing! Hi Deb! Love it when you visit:) Writing is such a great way to express yourself! Lovely happy post Kathy thank you! Keep on writing - that's something you can never retire from! 6000 posts is brilliant. You must get your husband to read some. Title a post with NEWS and write whatever you want. He migt end up reading till end hoping to find some 'news' and then he'll love your blogging. See you around the challenge. BTW, I loved your header design. Oh, blogging is a good one for B. we're simmered in our bathroom renovation that it was the first B that popped into my head. I haven't planned anything ahead; I'm just hoping that inspiration will strike. Oh, would love to do a bathroom reno! We've talked about it; just hasn't made it to the top of the priority list yet! I only have about a quarter of my post titles planned! Spontaneous is good, right?!! !